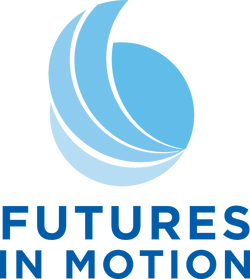 QUICK TIP TO GET UNSTUCK - Futures in Motion, Inc.
QUICK TIP TO GET UNSTUCK AND TAKE ACTION NOW! When you're going after a big goal, it's easy to get bogged down in planning and premature problem-solving. It's frustrating and holds you back from making progress. I want to encourage you today- Trust that you already have enough knowledge and skill to figure things out along the way and take action! You really want to accomplish something, but you get stuck trying to create a fail proof plan before taking any action. If you're changing careers, you may feel like so much is at stake that failure is not an option, so you spend a lot of time and energy coming up with a sure fire plan. If you're an analytical type like me, you've collected a ton of data and made lots of plans based on imaginary scenarios. That's great, but the reality is it's impossible and crazy making. You can't anticipate every obstacle and plan out solutions in advance. At some point you have to take action, or you won't achieve your goals. In my own career reinvention journey, I've gotten stalled in data collection and planning and wasted a lot of time not to mention the frustration. But, when I started taking action- baby step by baby step, my career vision got more clear, and it boosted my confidence. Interestingly, the problems and challenges I thought would come up- didn't. I learned that it's impossible to anticipate every obstacle and plan out solutions in advance, and clarity comes from taking action. Is there something you really want to do, but you're stuck in planning and analysis? TAKE ACTION CHALLENGE: Pick one thing you can do today to make progress toward your goal, so you can have the life and career you want. Make that call. Sign up for that class. Attend that event. Whatever it is for you, go do it! P.S. Let me know how it goes, so I can celebrate with you! You can message me here.